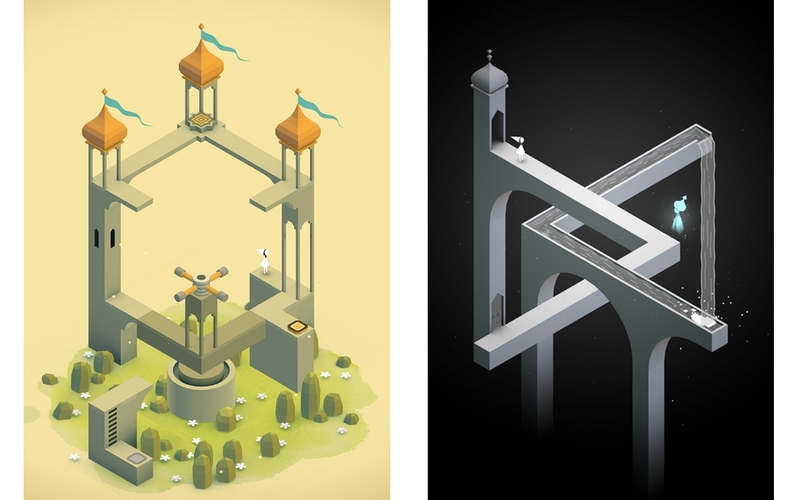 Monument Valley is a great game, and you should buy it if you haven’t already. With that out of the way, let’s look at new data released by ustwo, the game’s UK-based developer, that shows iOS leading over Android in overall sales and revenue. The data is quite clear: Google Play sales of the $3.99 game made up 12% of the overall, while iOS made up 71%. The numbers are skewed somewhat by the fact that Amazon offered the game for free on one day, comprising 16.7% of overall sales. In terms of revenue, the split is 81.7% iOS, 13.9% Google Play and 4.3% Amazon Appstore. While the game was available for nominally longer on iOS than Android, that revenue from the former was nearly six times that of the latter reinforces the notion that there is less money to be made for developers on Android than iOS. This information comes after ustwo admitted that there was a 95% piracy rate on Android, though the company later amended the statement to say that it was somewhat less than that, but still significant. Canada comprised 3.9% of Monument Valley’s iOS sales, according to the infographic.